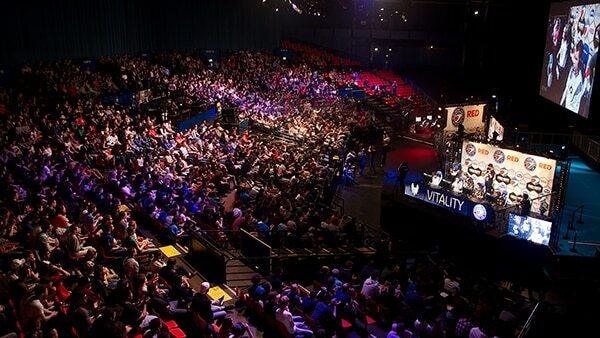 Friday wrapped up the stages of group play here at the Call of Duty World Championships. Each group features four teams that all have to play each other one time. The top two teams in each group got to advance to Friday, Saturday, and Sunday’s bracket play. This is where the tournament gets narrowed down from thirty-two teams to sixteen. Some groups were definitely more brutal than others. Group A featured both Splyce and Millennium emerging victorious. eUnited looked strong going into the tournament but could not power through those two powerhouses. Apotheon eSports could not climb out of group B due to Hyper Games performing very well. Renegades put up a horrible 0-3 performance right after their purchase by Jonas Jerebko, Boston Celtics Forward. The rest of the group stage was relatively standard. Backed by almost every COD fan on the planet, Optic Gaming came into this event heavily favored by most analysts. 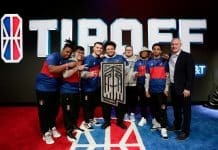 They were coming off of their MLG Orlando first place finish and they were not looking like they were slowing down anytime soon.Their first match on Thursday proved otherwise. CompLexity Gaming managed to pull ahead of them 3-2 in their first group stage match that would inevitably decide the seeding for group H. Optic’s Search and Destroy gameplay is definitely their weakness because of the pace. When the game gets slowed down they look like they cannot focus and pull it together. Bracket play started yesterday, Friday, and now that the seeding is set straight, it’s looking to be very exciting. Most notably, Optic Gaming is already in the loser’s bracket after their 1-3 finish versus MLG Orlando’s second place team, Team EnVyUs. Splyce and FAB both advanced and will play each other Saturday morning. FaZe will be playing EnVyUS after their victory over Optic. Rise Nation is looking really good as they are gearing up to play Luminosity. In the final winner’s bracket match, eLevate will be playing Cloud 9 after they both squeaked through the first round in their five game series. The Call of Duty World Championships is going very well so far. Activision is putting on very nice event here in Los Angeles, CA. Fans get the opportunity to play the new COD: Infinite Warfare, as well as the remastered edition of COD: Modern Warfare. 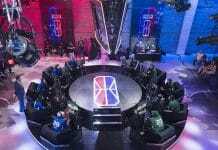 There are all kinds of event that is making Call of Duty World Championships great for spectators and online and in person.